We like the outcross pedigree that S Fountaion 514 has to offer. His performance and phenotype are easy to admire and his calves sure seem to be following suit. They hit the ground running and are powerful standouts from day one. Our first sons out of him will sell in our 2019 production sale. Ellingson Drover 6034 was another outcross sire for us and we haven’t been disappointed. We like his combination of calving-ease and functionality. He represents the type of easy keeping cattle that we want to produce. He throws calves with tremendous eye appeal and structure. 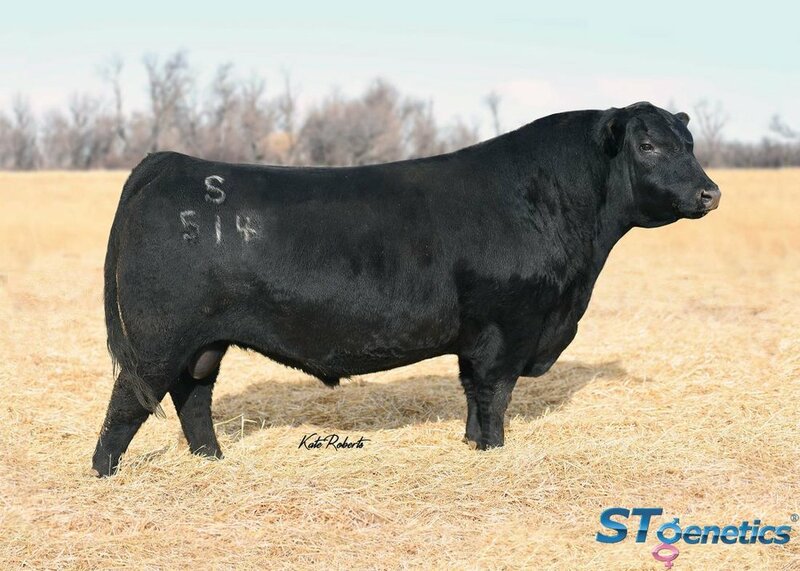 TLC Copywright 358 is a bull we purchased in 2014 at the TLC Vetsch Angus Ranch Sale in Linton, North Dakota. He is a Ten X son out of an Upward daughter. His dam sold for $41,000 in Vintage Angus’s sale and is a flushmate to the Genex lineup bull, Tombstone. Copywright is a calving ease king without lacking performance. Hilltop Final Option 5297 was our top pick in the 2016 Hilltop Angus Ranch sale for $17,000. He was chosen for his phenotype and performance. We really like the maternal power behind this bull as well. In Hilltop’s 2017 sale, 5297’s dam produced Hilltop Allied 6262 - the $40,000 top selling, Genex roster member to Hollowtop Angus at Pony, MT. We retained an interest in this bull from our 2016 sale and used him natural service. A typical Registry son, he has great eye appeal and natural muscle definition. We purchased this bull from the 2017 Clear Creek Angus Sale. Our purchase from the 2018 Hilltop Angus Ranch Production Sale for $16,000. 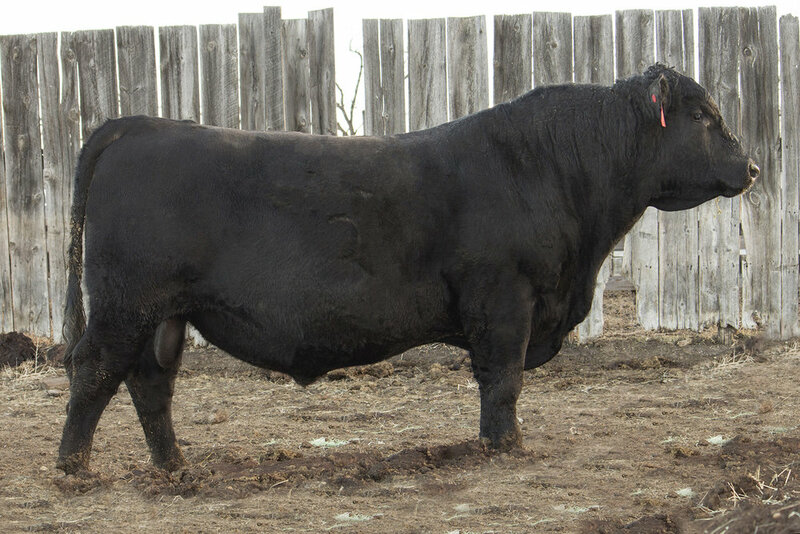 We selected this bull from the 21 Angus Ranch Production Sale in 2018.